To gain product approval please email photos and a description of your product. Please include as much information as possible including where the product is made and by whom. To ensure diversity of the markets we do not always approve products that are already being sold at the markets or that are imported. Once your product is approved and all application forms completed, bookings can be made online via the stallholder login or by calling the market office. Stall holders must attend the markets within one month of gaining approval. If Stall holders stop attending for more than one month they must seek re-approval of their product before they can attend again. All bookings must be pre-paid. Pre-bookings close at 10 am on the Friday before each market unless sold out sooner. If approved stall holders have not pre-booked they can still attend the market by signing on at the market office between 7 and 7-30am. We cannot guarantee that a stall site will be available for non-pre-booked stalls. The base fee for an art and craft stall is $55 (includes GST), other fees apply for additional services/stalls. All stalls must have both public and product liability insurance cover of $20 million each. If stall holders do not have their own insurance, they can come under the market’s policy for a fee of $7 per market. Not all products are able to be covered by the market’s policy. Pre-booked stalls will be emailed a stall number and sitemap on Friday afternoon prior to the market. Pre-booked stall holders must arrive between 6 and 7 am. Stallholders are not allowed to set up before 6 am and if nothing is in their site at 7 am we assume they are not coming and will reallocate the site. Stallholders are required to bring everything they need to set up their stall, to display goods and to provide shade if needed. This includes ropes and weights, everything must be secured against the wind as soon as it is erected. Please unload and set up quietly to minimise noise for our neighbors. Full copies of the rules and regulations which must be read before attending are available at the office and will be emailed with the application forms. All stalls are required to leave their site clean as they found it as per existing market rules and regulations policy. This includes: all boxes, bags, and coat hangers, craft scraps. Any broken chairs and tents/marquees must be removed from site. The on-site council bins are for public non-commercial waste only. All Stallholders found disposing of market stall waste in these bins will be cautioned once then suspended. We do sort these onsite bins and are working with council to reduce waste and bin overflow to avoid litter and ocean contamination. Your stall sites are marked so please remember to check your site is clean before you leave. Stallholders are required to sell their produce in recyclable or compostable containers i.e. glass jars, recyclable plastic containers or compostable wrapping. All approved single use food sampling should use compostable or recyclable sampling utensils. Plastic netting for fruit and vegetables is no longer allowed. Unless once the customer has chosen their produce, you transfer it into either a paper bag or their own reusable bag and you keep and re-use the netting. Although plastic netting is made from recyclable plastics it is not accepted in Gold Coast Council recycling bins at this time. All Food for Consumption stalls are required to serve food/drink in compostable or reusable products. All Food for Consumption stalls are required to take all production waste home and are at no time to dispose or leave production waste in the market or Council supplied bins. All Food for consumption stalls are required to train their staff so they can educate customers of the products being used and how they can dispose of the waste correctly with regards to recycling, composting or landfill. Considering the continuing efforts of the nation and the world to turn the tide on the mountains of un biodegradable and plastic waste being generated every day, the changing regulatory environment and environmental best practice all stall holders will be required to minimize product packaging and use compostable packaging as per this policy where possible from January 1st 2019. Market Management supports the current position that we cannot continue as business and waste as usual and thank all stallholders in advance for their participation and innovation in reducing waste locally though our business practices for the sake of the planets resources and all our future. Approved stallholders may prebook online using the link below. * All new stallholders must first contact us for approval using the Stallholder enquiry contact form just below. mats for people to sit on. 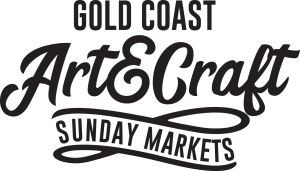 Rules and information for buskers performing at markets operated by Art and Craft on the Coast – Broadbeach, Burleigh and Coolangatta markets. You must not involve members of the public, stallholders or volunteers in your performance, unless management has a copy of your liability insurance. Market insurance does not cover interactive activities and you may be held liable for any injuries/damage caused. You must not perform in an area where your crowd/people watching your performance will block any of the paths or the flow of pedestrian traffic etc. You must follow the markets rules and regulations (excluding site and stall fee rules) particularly in relation to parking of your vehicle/s. You must not interfere with or perfom near the markets entertainment precinct. You are not permitted to sell CD’s or any other item/s whilst busking.